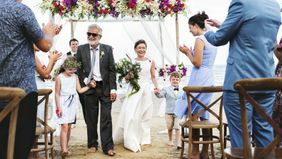 If you’re about to get married, there’s a whole host of things you have to do, from getting a marriage license to choosing a color palette to picking the song for your first dance. Here's something to add to the list: working with a lawyer to draft a prenuptial agreement. Talking about what will happen financially if your marriage ends isn’t romantic. But money is one of the leading causes of stress in relationships, and this is a way to ease that stress. Here are some reasons to get a prenup that you might not have considered. People who come from family money might be more comfortable with this topic, but the truth is that prenups don’t just protect people with sizeable assets. They can also outline what happens to future assets, and even help protect you from your partner’s debts, says Raymond Hekmat, a family law attorney in Beverly Hills, California. People who are self-employed, those who have stock options that might be valuable in the future and those marrying into debt can all benefit from a prenup. 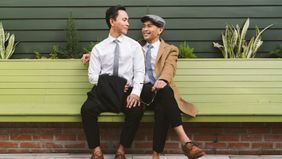 No matter what their financial circumstances, a prenup allows a couple to take their financial future into their own hands, rather than having it dictated by state laws. 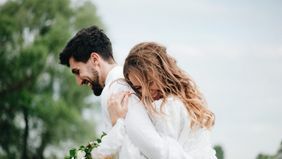 A prenup can also help avoid the cost of litigating a divorce, since the end terms of a marriage have already been laid out at a more harmonious time. Christopher S. Hildebrand, an attorney in Scottsdale, Arizona, tells his clients to think of prenuptial agreements as an insurance policy. “You hope you never have to use it, but you sure are happy you have it if it is needed,” he says. Like when you’re choosing insurance, you’ll want to consider the worst-case scenario. Partners should talk about which assets will be joined and which will remain separate, if income (and debts) earned during the marriage will be considered joint or individual and whether alimony would be paid in the event of divorce. A prenuptial agreement is the rare opportunity to come up with your own unique laws for your own unique marriage. Also consider how your financial situation might change over time. “Partners should consider their respective ages and their ability to support themselves at different intervals of the marriage,” Hildebrand advises. Most people fumble when thinking about how to talk about them. After all, how can you be planning for a life with someone, but also making a contingency plan for if it doesn’t work? The key, says Mela Garber, a tax professional who works with family wealth, is to not take the conversation personally. “Removing the ‘personal’ piece of it is important,” she says. Instead, think of it as standard business and good financial practice to have the agreement. Oftentimes, it’s more comfortable to bring up the idea of a prenup early on, before an engagement is even official. That gives both parties time to think about what they would like covered and if they’re comfortable with the process. “Make it a part of the overall financial plan,” Garber says. Arguments over money often boil down to not being on the same page when it comes to finances. Couples who sign a prenup are forced to discuss this well ahead of marriage. By laying everything out on the table early on, you’re less likely to be surprised later.